So where am I going with this? Well, the subject of this review is the Ruger Magnum Precision Rimfire Rifle chambered in .17 Hornady Magnum Rimfire, a round at its best inside 150 yards. That’s right, a short to medium range varmint rifle and cartridge that’s perfect for critters like ground squirrels, gophers and prairie dogs. What, only 150 yards, you say? The reality is a lot of gophers, squirrels and the like are shot inside 150 yards, and that’s the envelope of this little cartridge. 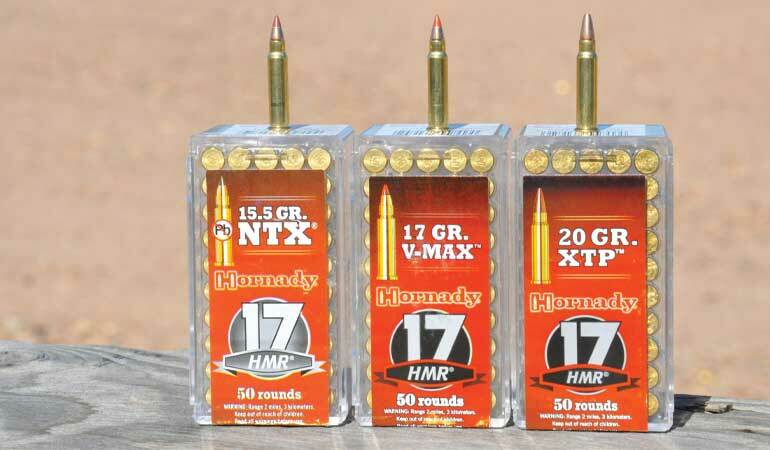 Launched by Hornady in 2002 the .17HMR is a .22 Magnum case necked down to .17 caliber. Bullet weights for this cute little bottlenecked round range from 15.5 grains to 20 grains in the Hornady loadings. Muzzle velocities of 2,500 feet per second make this a speedy, yet mild recoiling, round in the Ruger Rimfire Magnum that has a bare weight of 6.8 pounds. As such, it’s easy to see hits through the scope, an advantage when picking off varmints. Ruger has an extensive number of offerings in their popular Precision Rifle lineup. Starting with the Precision Rifle in 6.5 Creedmoor and .308 Winchester their offerings have expanded to several other caliber in the Precision Rifle, a .300 Winchester Magnum and a .338 Lapua Magnum in the large, Precision Magnum version of the rifle and a .22 Long Rifle, .22 Magnum and .17 HMR offering in the Rimfire version. The Magnum Precision Rimfire (MPR) uses two new magazines based upon the Ruger 10-22 rotary magazines, being just a bit longer to accommodate the length of the .17HMR round. The flush fitting magazine holds nine rounds and the one based upon Ruger’s BX-15 magazine holds 15 rounds and is short enough that it won’t impede shooting off bags, bipods or a rest. Like it’s larger versions, the MPR has an AR pattern pistol grip and a stock adjustable for length of pull and comb height. Unlike the larger version, the stock on the MPR doesn’t fold to the side, as it’s unnecessary for removal of the Ruger American Rimfire bolt used in the MPR. Another feature borrowed from the American rifles is the Ruger Marksman trigger. It’s adjustable from 2.25 to 5.0 pounds and breaks crisply and cleanly without creep or over-travel. The trigger on my sample breaks at a touch over 3 pounds and I see no need to adjust it. The cold hammer forged barrel is 18 inches long and is threaded ½”-28 for the addition of accessories such as a silencer. A screw on thread protector protects the threads and the muzzle crown. A Picatinny rail sits atop the receiver and the forend is a Magpul M-LOK design that accepts accessory rails and the like. The bolt is set up to have a very short throw and should you wish to use the MPR as a trainer for your centerfire Precision Rifle the bolt throw can be adjusted to mimic the longer throw. The suggested retail for the MPR is $529. Leupold is my go-to scope company. 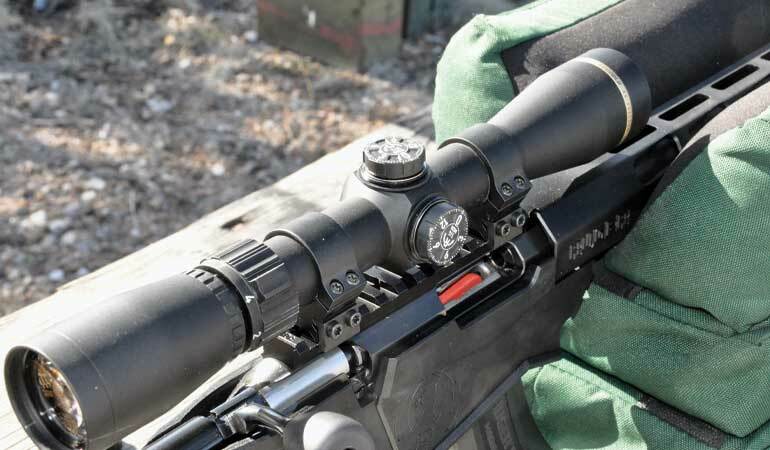 Their extensive lineup of high quality products with an unconditional lifetime guarantee now includes a line of feature packed yet economy priced riflescopes in the VX-Freedom line. Included in this lineup are two rimfire scopes, one a 3-9 and the other a 2-7 I ordered for this test. It’s a one-inch tube scope with a 33mm objective lens with finger adjustable target-style turrets with ¼ minute click adjustments for windage and elevation. The reticle is one Leupold calls a Rimfire MOA, being a Duplex style with vertical hash marks for elevation. I mounted the scope on the rail with a set of Leupold PRW medium height rings and headed to the range to shoot some groups. The suggested retail for the VX-Freedom scope is $234.99. 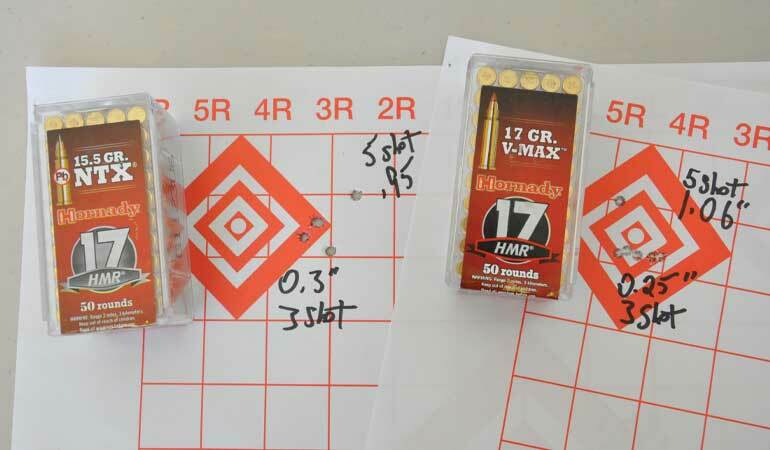 Hornady 17 grain V-MAX, 2550 feet per second velocity, average group size 1.394 inches. Hornady 20 grain XTP, 2375 feet per second velocity, average group size 1.046 inches. Hornady 15.5 grain NTX, 2525 feet per second velocity, average group size 1.24 inches. 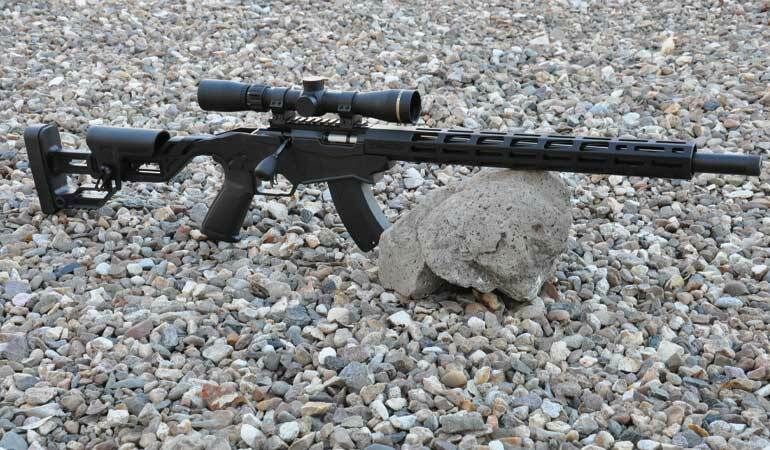 This is a nice rifle in a round suitable for short to medium range varmint shooting. I may have to haul it up to Montana once it warms up and see how it works on gophers.